Corfu, one of the top five tourist destinations in Greece, is located on the north western side of Greece. It gets very popular for its wonderful beaches, the traditional villages and its rich culture. You will find below our excursions suggestions for 1, 2 or 3 days on the island of Corfu Greece. For a general idea, you can view the things to see and things to do in Corfu. Corfu has so many things to do and sites to see that three days of excursions are certainly not enough. On the first day, do not lose time and go to Corfu Town, the capital of the island. This town mostly distinguishes for its architecture that was inspired by the Venetian style: narrow paths with tall houses on the sides, tall buildings with small windows and no balconies, many churches and large squares. Have a strong morning coffee in Spianada, with view to Liston, the cricket court and the Palace of Saints Michael and George, which now houses the Museum of Asian Art. Then, walk around the Old Town and see the elegant mansions. Go to the Old Fortress and climb up to the lighthouse to see the gorgeous view. Then, go to the New Fortress, near the Old Port. If you have time, visit the Archaeological Museum of Corfu, near the tennis court, to see ancient findings from Corfu and Epirus. A must visit is also the Palace of Mon Repos, in Kanoni area, the old royal summer house. A couple of km away from Mon Repos, there is Kanoni, probably the most photographed spot in Corfu. There, you can see the famous church of Panagia Vlacherna and take the short ride to Pontikonisi islet. At noon, go to Paleokastritsa, the most famous and organized tourist resort in Corfu. 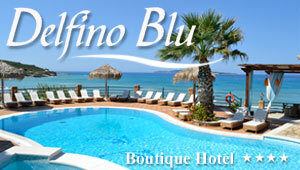 This is the spot of Corfu with the most hotels and many fishing taverns on the shore. The good thing with Paleokastritsa is the clean water and the nice environment, the bad thing is the always crowded spots. Above the beach, there is a nice monastery dedicated to Virgin Mary and a couple of km away, there is Angelokastro, an impressive medieval fortress. From Paleokastritsa, you can also take the boat to go for an excursion in the close caves and remote beaches. On the second day, visit the north eastern side of Corfu, the most developed and crowded part of the island. The first stop is Dassia, a tourist village with a beautiful beach to have a morning swim. At noon, go to Kassiopi, a lovely fishing village that has nice traditional taverns at the port. Your next stop is Sidari, a windy village, and Canal D' Amour, which means the Channel of Love. This is an impressive site with a small beach among huge rock formations. This part of Corfu, particularly Sidari and Acharavi, are famous for their qualitative nightlife and nice bars. The third day, visit the south part of Corfu, which is not that tourist developed as the north part. The first stop is the Achillion Palace, close to Gastouri village, an impressive residence of the late 19th century that was built by order of Empress Elisabeth (Sissy) of Austria as a summer house. The architecture of this palace is impressive and most of its decorations and the yard have been inspired by ancient Greek history and mythology. Then, continue to Agios Gordis, one of the most beautiful and crowded beaches on Corfu. After swimming, head to Agios Matheos, a lovely traditional village surrounded by a lot of greenery and gorgeous nature. Have a lunch there, in one of the beautiful taverns on the hill, with view to the sea. Later, go to Messonghi, a beautiful seaside village with a small port to stroll around.